You know how you can go your whole life without hearing something and then all of a sudden – everyone you meet and know seems to talk about it? Yeah, well that’s what been happening with me and Ayurveda. I’ve been really interested in exploring juicing from an Ayurvedic perspective and wanted to share what I’ve found here. 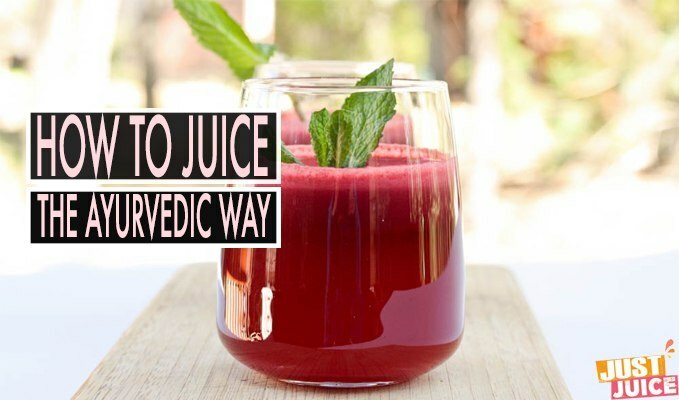 The purpose of juicing, the Ayurvedic way, is not as a tool for weight loss but rather as an important cleaning method. However, one must remember that everything in Ayurveda needs to be done with moderation. According to Ayurveda, there is nothing that can be classified as completely good or completely bad for any person, throughout their lives. What is good and what is bad keeps changing and it also varies according to the season. Juicing is not an exception to this rule. Some people have great benefits to derive from juicing at certain times, whereas it might be harmful to others at other times. The fundamental idea behind this disparity is that Ayurveda bases itself on individual constitutions of people and the qualities of each food, as well as the seasons. What is the Nature of Juice? So, let us start by looking at the nature of juice itself. Juices can be described as light, cold and dry, or having no fat. These qualities of juice can affect you depending on your own individual constitution. Juicing can have several energetic effects on your body. 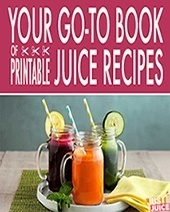 Initially, juicing can be energizing, as it requires less energy to digest. It also has a clearing and lightening effect on your body because of its cleansing properties. The cold nature of juicing also has a cooling effect on the drinker. However, what you need to look at is your own constitution. Are these the qualities that your body needs? If you constantly feel foggy and congested, you might most likely benefit from juicing. However, if you find that your body is more in need of warming and grounding foods, you need to be careful with juicing. You can have juices every once in a while, but you have to take care of the timing. If you juice for too long when it is not a fit for you, it might deplete you of energy, since there are not many fats or proteins in juices. However, if you need huge doses of nutrients and vitamins, juicing provides an easy-to-absorb way of giving that to your body. 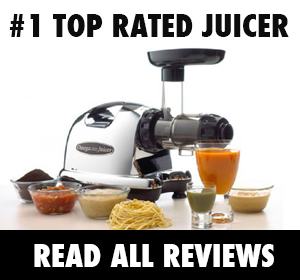 So how exactly do you determine whether juicing is right for you? According to Ayurveda, each individual is constituted differently, according to their dosha. There are three main doshas in Ayurveda: Vata, Pitta, and Kapha. While every individual has a bit of each dosha within them, we all lean towards one dosha more than the other two. You can find out your dosha by looking over the characteristics that govern each dosha. People who lean towards a Vata dosha experience dry hair, skin or nails, anxiety, fatigue, difficulty with sleep at night and constipation among other symptoms. Juicing is not very beneficial to people with Vata constitutions. If you have a Vata dosha, you can still benefit a little from juicing, but only during the warm weather, and only by restricting their juicing to once a day accompanied by two full meals. The fall season is associated with the Vata dosha, due to the constant movement and energy that is characteristic of this dosha. If you are experiencing any kind of inflammation, sweating, anger, heartburn, loose stools or bad breath among other symptoms, your constitution leans towards the Pitta dosha. Pitta constitution people are quite benefited through juices due to their cooling effects. However, you still will have to juice in moderation as your metabolism and your digestion is likely to be fast and very good. If you have only liquids, you will quickly end up feeling irritable due to hunger. 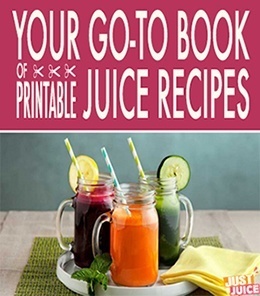 You can get by comfortably on one big meal with two juices per day. Because of its intensity, heat and fire associations, this dosha is most active during the summer. Perhaps your constitution is more of the Kapha dosha? You will mostly be experiencing fluid retention, sinus congestion and constant colds, an uninspired and foggy feeling, oily skin and hair and great difficulty in waking up each morning despite hours of sleep. Kapha dosha benefits the most from a juicing cleanse! If you belong to this dosha, go on a juice diet for 2 to 5 days, and you will immediately feel the effects on your body. I, personally, lean heavily toward the Kapha dosha and regular juice cleanses do feel wonderful for me. The longest juice cleanse I’ve ever done was a little over 20 days and I have never had more energy in my life. I now practice regular, but much shorter, juice cleanses – weekend cleanses, if you will, and they help me to keep my ‘balance’ – sleep-wise, mood-wise, and craving-wise. If you also suspect you have Kapha dosha, I strongly recommend trying out a short juice cleanse. Kapha dosha is strongly associated with the early spring and winter seasons, as this energy is introverted and grounded by nature. Well, now that you can probably figure out which dosha you most probably belong to, you have a general guideline about whether or not you should juice. However, everybody’s body is built differently (which is exactly what Ayurveda founds its beliefs on), and your body will respond to juicing in a different manner from everybody else’s. Ultimately, no one knows your body as well as you, so you have to pay close attention to it and see whether juicing suits it or not! I’d like to contact you about publishing one of your articles in a magazine, but there is no email address! Hi Diane. Sorry about that – I’ve been meaning to add a contact page for some time, thanks for reminding me 🙂 Here you go – a much-belated contact form. Saved like a favourite, brilliant website!